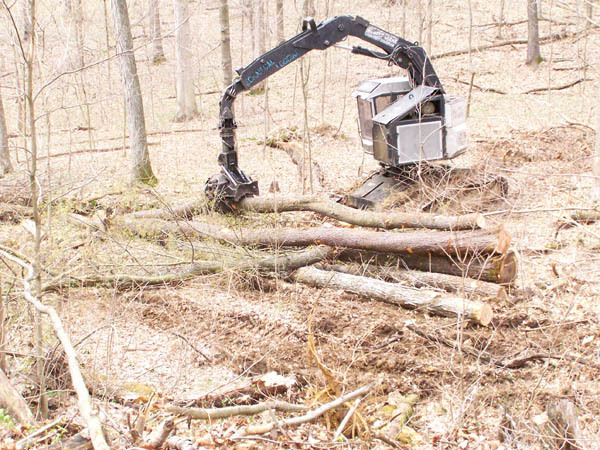 Southern Indian Hardwoods has some of the latest technology when it comes to harvesting trees. 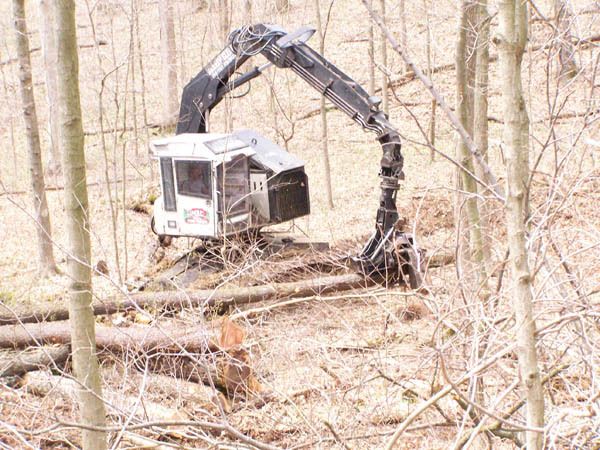 SIH uses a Timbco feller buncher with a special head to cut trees down. Using this machine is safer then if a person had to cut the tree down by hand. This machine can cut faster than a person could by hand. The same machine that cuts the tree down, also tops the tree. The machine then bunches the logs for quicker removal by the skidders.